Join us this year for an unforgettable, fun-filled Christmas season and let us see you into the new year with all the good times and glamour you could ask for. 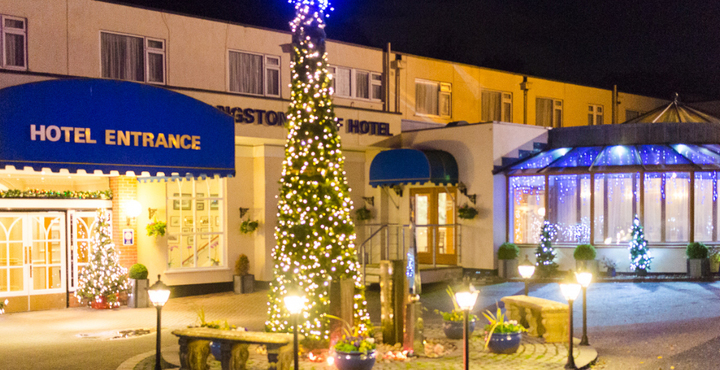 Spend your festive season at the Langstone this year and experience why we believe we’re the perfect choice for you. Are you looking for the perfect Christmas venue, complete with fantastic local music and all the festive extras to set the scene? Christmassey Sundays – featuring piano playing, carol singing, tea and cake and of course a delicious, traditional Sunday Roast. Mid-week Christmas Lunches – enjoy lunch, drinks and entertainment following by a cup of tea and mince pies. Langstone Special Christmas Party Nights – one last chance to escape before all the madness. Join us for one of our three Christmas Party Nights. Christmas Holiday – come and join us from Christmas Eve onwards to celebrate the festive period by letting us do the work for you – we’ll provide you with all the food and entertainment you need to make this Christmas one to remember. Twixtmas – can’t handle all the buzz and goings’ on this year? If you’re after a holiday package our Twixtmas package is just right for you. New Years Holiday – last but not least! 3 days over the new year will see you thoroughly fed, watered and entertained. To enquire about any of our Christmas events and/or a New Year’s break call us on 01626 868000 or contact us here to check availability and to book.